It’s a crazy time of year around the farm! We not only have harvest hitting us 10 days early, which means early mornings and very late nights. We also have the St. Paul Rodeo on our hands during the 4th of July. I finally sat down today, for what felt like the first time in quite a few days and took a deep breath. I feel like a whirlwind just hit our farm, our town, not to mention my house. I can’t complain though, when life is full of all good stuff, even it’s a ton of it, it’s hard to not see blessings in life. 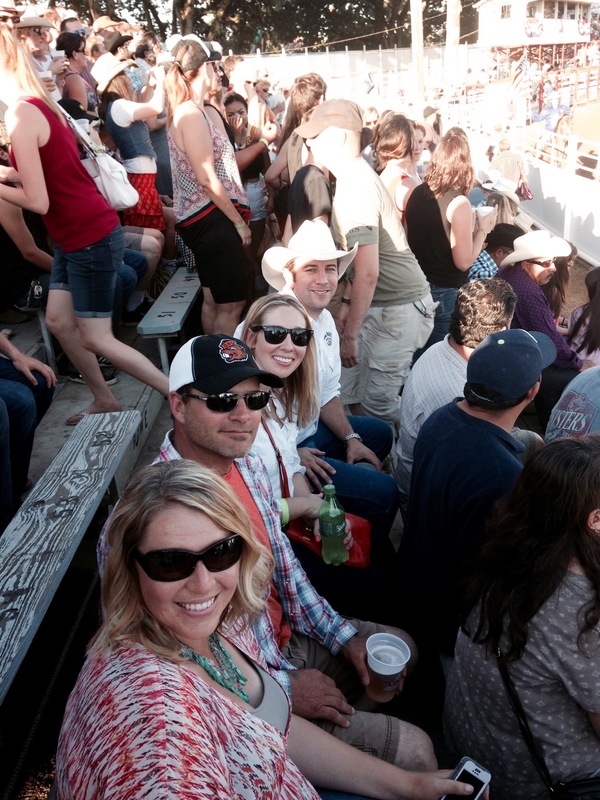 The St. Paul Rodeo was once again a big hit this year. Being the largest west of the Mississippi on the 4th of July and a big part of cowboy Christmas, every year it never disappoints. What it means for our small town of only 322 people however is a lot of work to put on a great show for the over 50 thousand people who come to visit us. From Cowboys and bucking bulls, to barbecue chicken and American flags, this rodeo has stood the test of time, celebrating its 80th year! 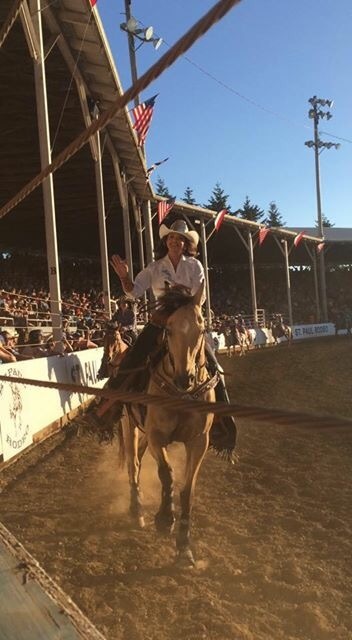 We were proud to also have Miss Rodeo Oregon, Julie Drescher call us home and be on the road representing us with poise and grace that can only come from small town America. The 4th of July means a little something different to every American, to me it’s more than BBQ and beer. To me, it means honoring those who fight for our freedom, being thankful that we live in such a wonderful country and thanking God everyday that I get to work in the dirt that he provided. It gives me goosebumps every year as I see the flag rising over the rodeo grounds, hearing the national anthem, sang by Mary Ann Zielinski, knowing that the patriotism in that small arena is at its best at that very moment. How could you not be thankful to live in the land of the free? So until next year the grounds will go quiet. It will wait patiently for dusty cowboy boots to show up again, to compete, to see good friends, and to be thankful for another great year under the Stars and Stripes. See you next year Rodeo fans! A lot of cowboys & can chasers ( barrel racers ) that compete at the Calgary Stampede also go to the St.Paul rodeo and Caldwell Idaho ,this time year is called Cowboy Christmas for the number of big paying Rodeos. I’ve been going to Rodeos since 1967. St Paul Rodeo is a tradition for us every year too. And while I’m not a St Paul resident, being from Newberg, I’m still amazed at how many people come out and fill the town every year! 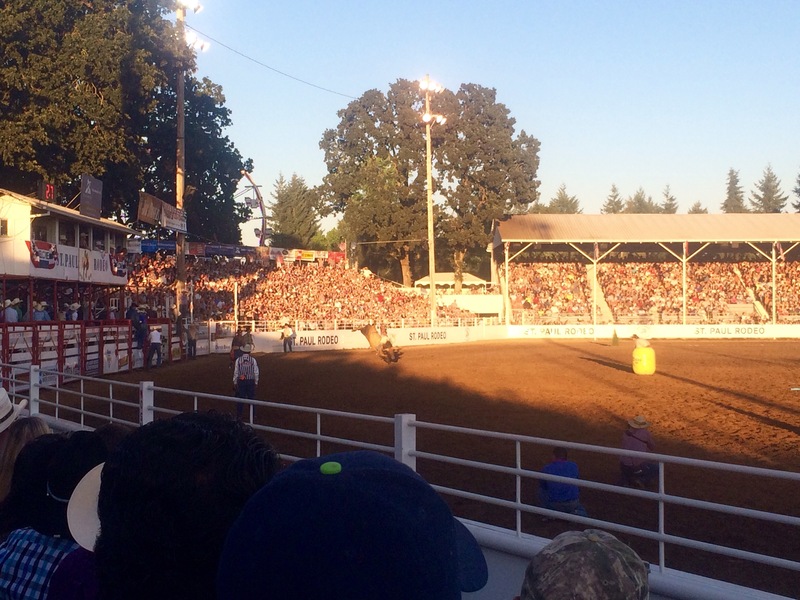 It just wouldn’t be the 4th without the rodeo!